Sports betting has taken off lately in Nigeria, and with Lagos being home to 21 million people it’s no wonder that online sports betting has really grabbed hold of the city. 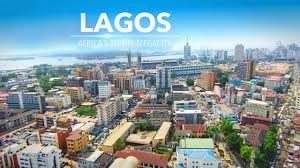 A good number of Lagos residents are learning how to place bets online, and sports betting as a whole is becoming much more popular and accepted throughout the city and country. With 21 million residents it’s no wonder that Lagos is home to a wide variety of professional football teams, with upwards of 6 clubs participating in the Nigerian Professional Football League each season, and countless more participating in the second and third division leagues in the country. There are even four professional basketball teams located in the city and rugby is another sport with constant exposure throughout Lagos. There are a wide variety of betting shops across the city with local brand sportsbooks such as Nairabet, Winasbet and BetLand always willing to take bets from locals. The use of the internet is on the rise in Nigeria as well, which has allowed sports fans in Lagos and other Nigerian cities to make the move to placing bets online. The local shops I mentioned above all have an online presence, but Nigerians are also able to use the large global brands, such as Bet365.com if they want to bet through extremely reputable and respected sites. Is Sports Betting Legal in Lagos? There are no laws against sports betting in Nigeria. The Criminal Code act of 1990 in Nigeria states that roulette, non-skill card games, chacha and cowries games and dice games outside of backgammon are not legal in Nigeria. That said, sports betting and racing totes are legal in the country. Bet365.com is our top rated sportsbook for Lagos residents. Bet365 is the largest and most respected sportsbook in the entire world and they accept players from Nigeria. If you live in Lagos, you may not see as much Bet365 advertising as other local sportsbooks such as NairaBet or Bet9Ja, but Bet365 is committed to building their presence in the Nigerian market and I expect them to move into the country with more advertising in the near future. Bet365 offers new players a 100% matching bonus up to $200 on your first deposit. They also have the widest variety of betting lines of any sportsbook online, and you can also live stream a wide variety of sporting events, including Nigerian football matches for free at the site. Bet365 is the best in the business and even though they are based in the UK, they are still the best site bettors who live in Lagos. Read our full Bet365 review here. There are two land based casinos located in Lagos and licensed by the Nigerian government. The first is Federal Palace Casino, which is located in southern Lagos and boasts over 130 slot machines and 10 table games. Eko Hotel & Suites is the other land based casino in Lagos and it has 17 table games and is located a short walk from a private beach. As for land based sportsbooks, there are a wide variety of options in Lagos. Winasbet, Betland, Nairabet, Merrybet and others all have kiosks across the city where you can place sports betting wagers.